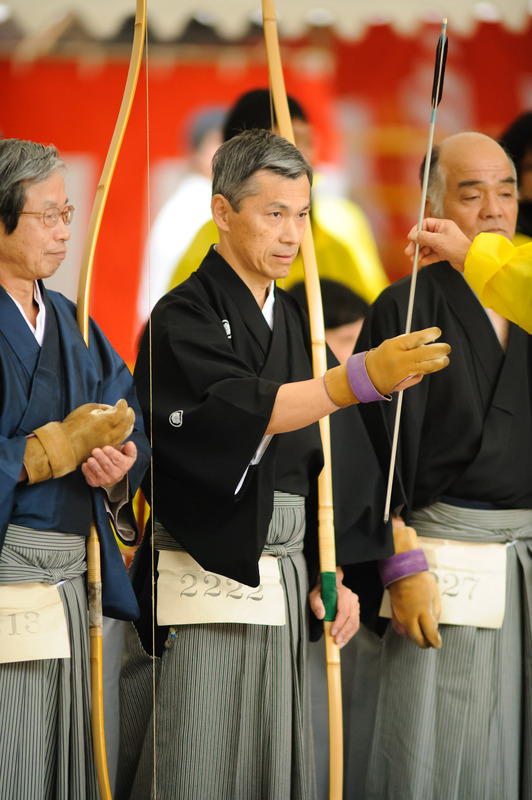 During the Japanese-Archery event last week that I've been posting about, after the 2,000+ young adults did their thing, a few dozen instructors also got to shoot. 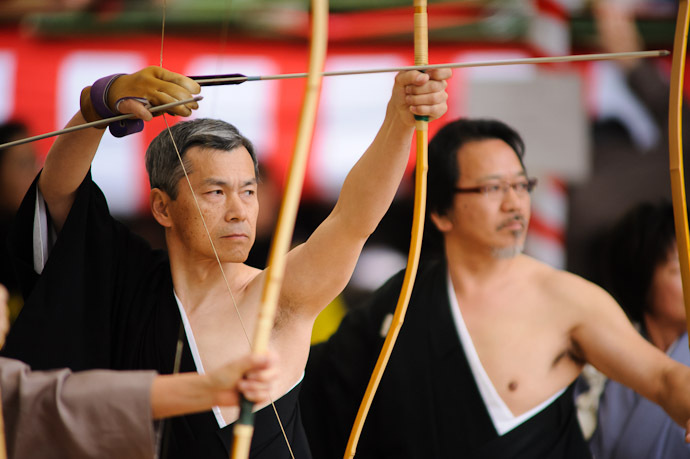 I don't know how they were chosen to participate... perhaps it's only the instructors of the kids who hit the target? 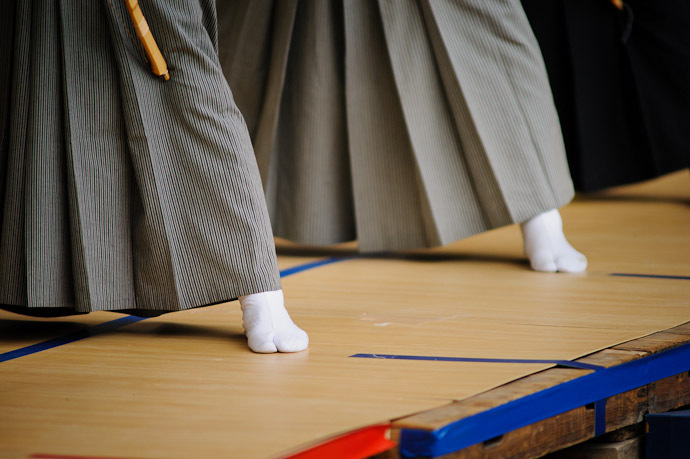 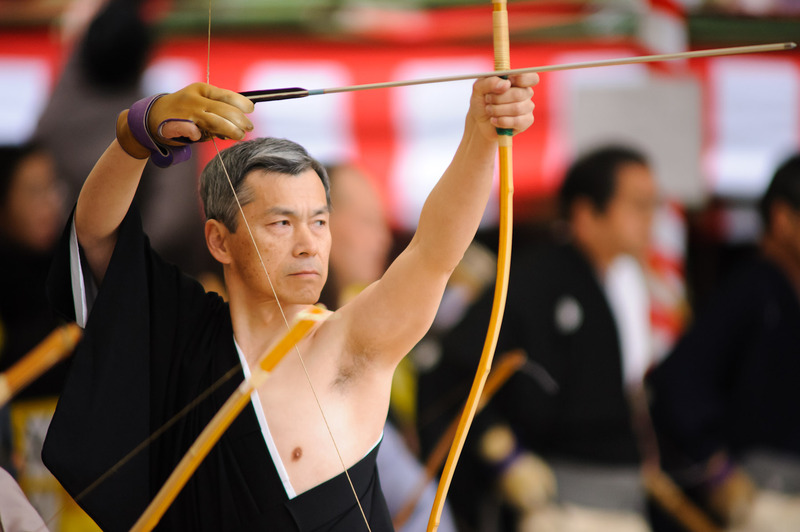 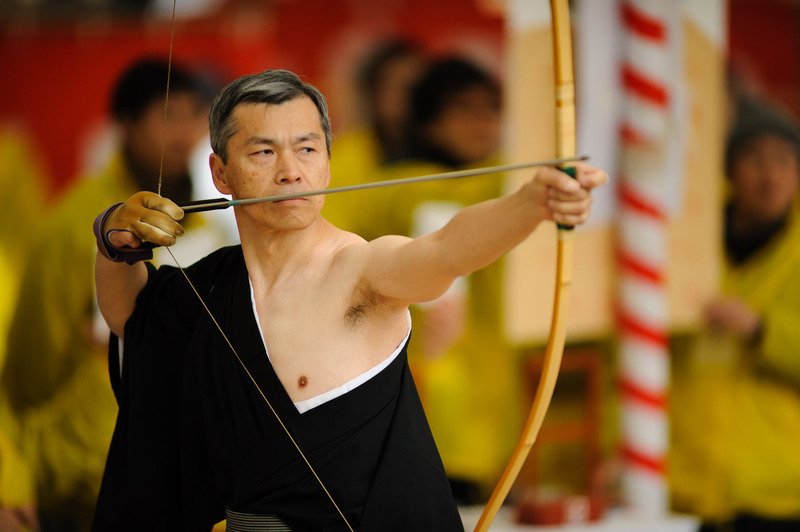 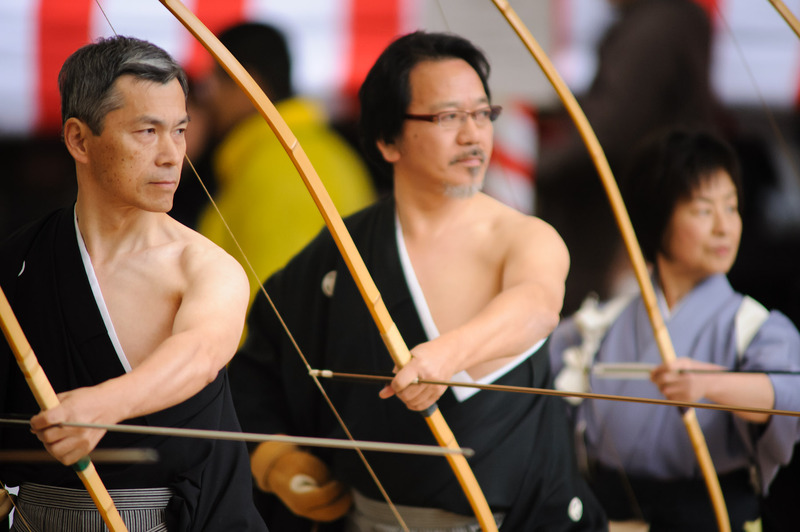 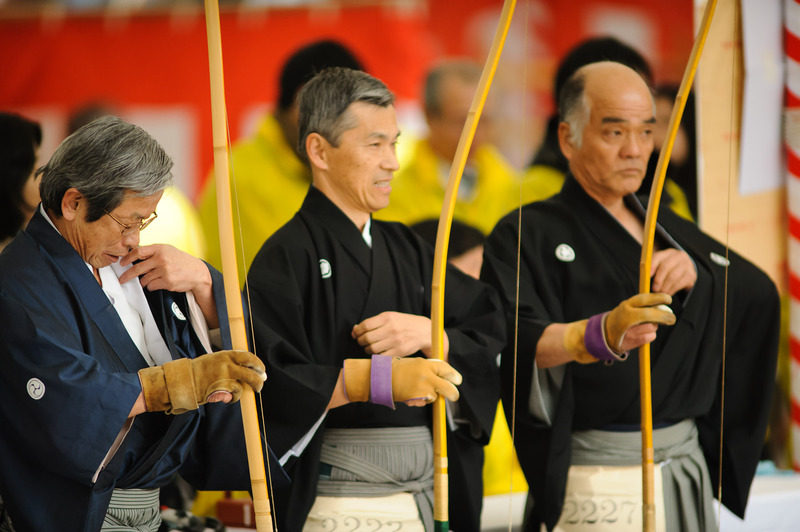 Anyway, as last week's “Total Discipline: Anatomy of a Japanese Archer's Shot” describes, the goal is not simply to hit the target, but in mental and physical perfection with each step, akin to how the whole tea-ceremony thing not really being about having something to drink. So, while on the shooting platform, some of the archers got into an intense mode, and the guy in today's post was even more intense than the instructor seen earlier in “Traditional Archery Like a Boss”. 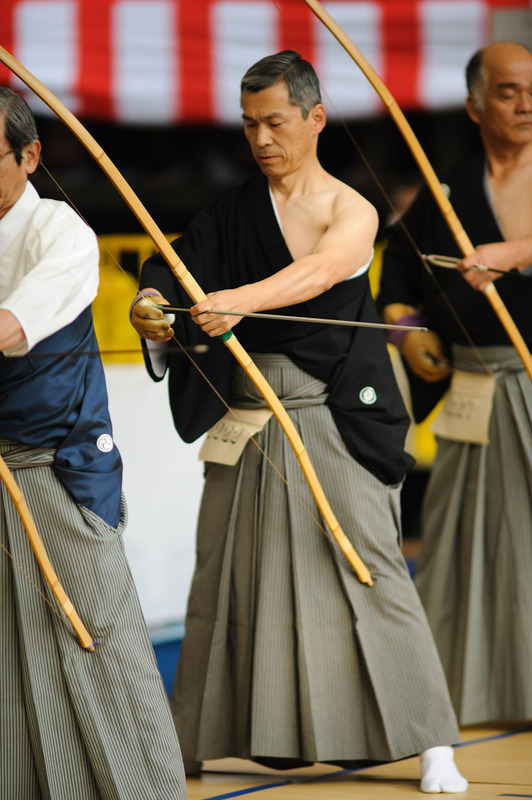 I noticed his intensity immediately, and tracked him with the camera more than the others. I didn't quite follow how the playoffs went, but I believe the “Final Round” was actually to determine second place — I was never able to figure out who won first place — and the three seen above were the runners up My guy was 3rd, while the like-a-boss guy at right was second. 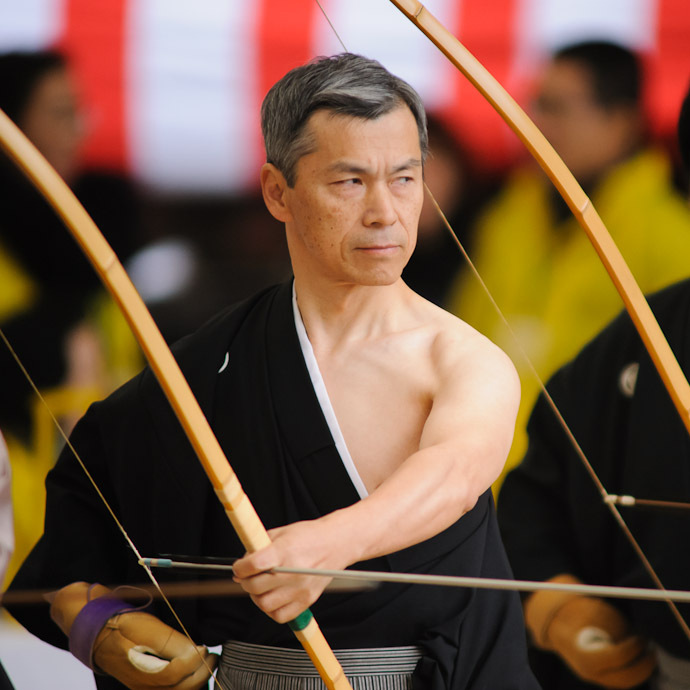 As I said, I was immediately drawn to the guy's intense presence, and he seemed to be the epitomy of a certain kind of traditional Japanese samurai masculinity. It was very cool to see. 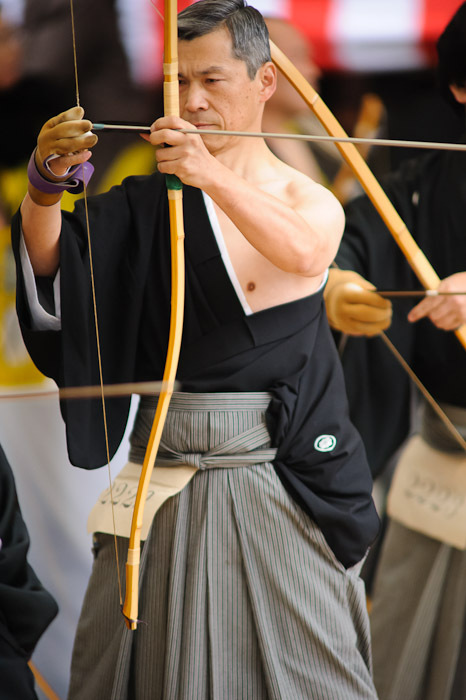 Any other Yahoo! alumni see the resemblance, or is it just me?